Rainy season is upon us, which means lots (and lots) of moisture. Moisture left unattended turns into mold, which can have a severe impact on our health. Mold thrives anywhere there is moisture. It grows in places with high moisture or standing water. Unfortunately, we are unaware of many moist areas in our home. 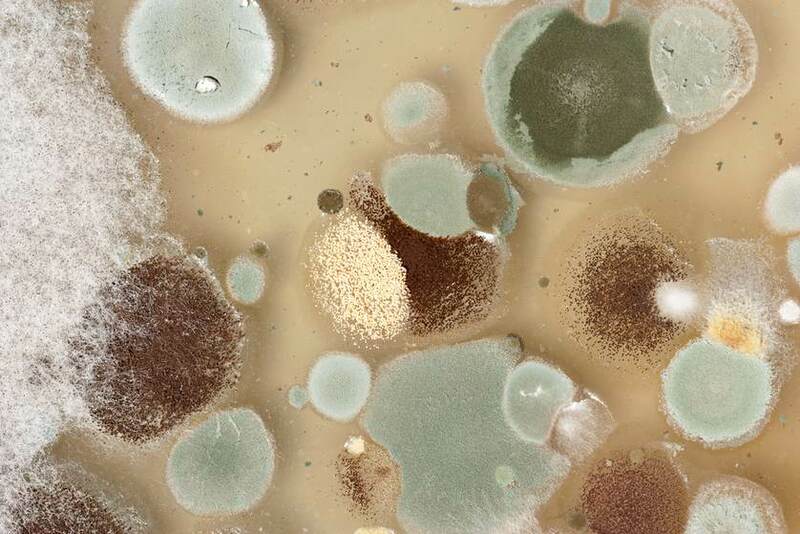 Mold can sneak in without us knowing, and once it's found, it can be too late. Control Interior Humidity Levels Install a dehumidifier, use fans, and open windows to circulate air throughout your home. Keep windows closed on humid days, and keeps interior doors open to encourage air flow. Schedule a maintenance on your heating and cooling systems Scheduling routine maintenance on your heating and cooling systems will ensure mold won't grow in or on the units. By keeping the units clean and dry, you are preventing mold from circulating through the air and into your home. You shouldn't have to worry about maintaining the system yourself--call A.B. May to service your system for you. Install a bathroom fan The bathroom is the center of moisture in the home, so efficient circulation is key. Install a bathroom fan to encourage airflow and to speed up the drying process. This is particularly important if your bathroom doesn't have any windows. Vent appliances outside Appliances, like dryers, pump moist, hot air out of the unit. If the moisture isn't directed outside, the moisture can build up in an interior space, like the attic. Check ceilings, roof, and gutters Check all access points in your home for damage or holes, where water can seep in. Seal open spots in your roof and clean out buildup from your gutters. Clean Mildew Infested Furniture If furniture is stored in a basement, it can often develop mildew. To remove, first vacuum the upholstery thoroughly. Next, mix one cup of cool water with one cup ammonia. With a washcloth, blot the upholstery. Do not scrub. Dab the infested area with a dry towel until all moisture is soaked up. Dry with a fan or hairdryer. Fix plumbing issues If you have a leaky faucet, dishwasher, or shower head, call an A.B. May plumber to stop the leakage. Consistent leakage is not only costing you money on your utility bills, it's pushing moisture into the air throughout the day. Clean the condensation pan under the coil of your cooling system Moisture can build up in the condensation pan. This is cleaned during routine maintenance, but checking between service appointments will ensure no moisture will sneak into your cooling system. Install a dehumidifier When it's humid in your home, your cooling system must cool the air and remove moisture, which means it has to work overtime. By installing a dehumidifier, you're giving your cooling system a break (which will prolong its lifespan), and sucking the moisture out of the air more efficiently. To read more about dehumidifiers, click here. Seal windows Moisture can be sneaky, making its way through the windows even if they are closed. Caulk the exterior windows to fill any potential holes. Questions? Call us at 913-370-4898.